The 14 x 19 x 6 inch valve box extension has a tapered body with a double wall. Engineered specifically for the professional contractor and heavy-duty use. Superior strength for commercial and utility applications. Thicker wall dimensions for increased strength and durability. Reinforced ribs offer exceptional sidewall strength. Stainless steel nut on box for bolt-down capability. 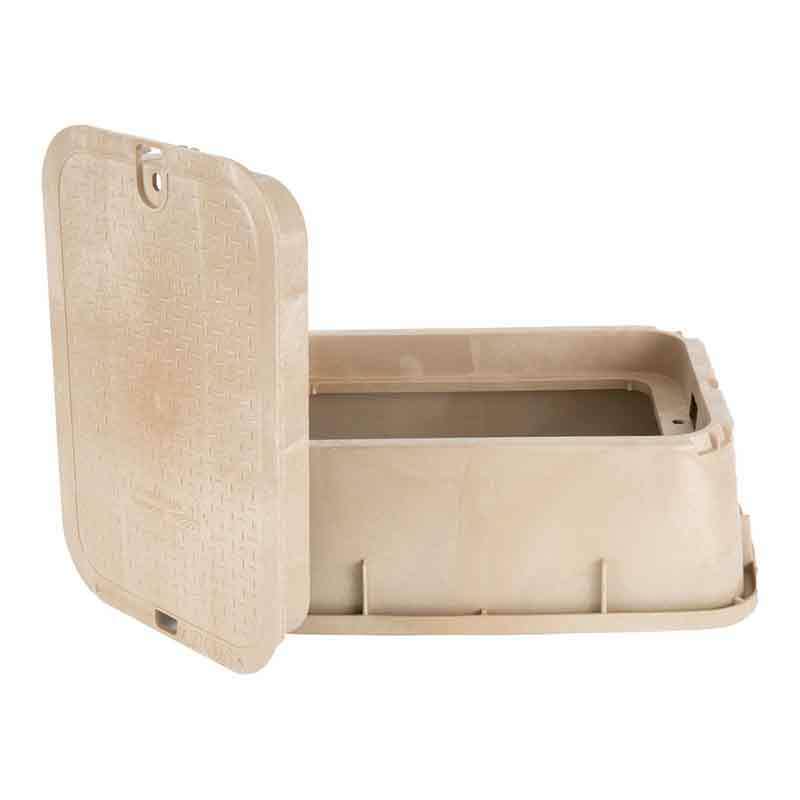 High-impact, high-density structural foam polyethylene construction. UV inhibitors prevent discoloration and cracking. The 14 x 19 inch body is tapered and has a minimum wall thickness of 0.200". The body has a double wall at the top cover seat area with a minimum thickness of 0.250". The cover seat area has 16 structural support ribs on the underside of the seat, each with a minimum thickness of 0.250". The bottom of the body has a 0.500" flange. The valve box has a 3/8" 304 SS nut for the bolt-down as a standard feature.